Top 10 Best Luxury Dog Toys — Interactive, Balls, Discs, etc. Finding the right luxury toys for dogs is difficult because every dog owner has a unique definition of what a luxury dog toy should be. For some, it is purely a matter of premium price, while others think of luxury as a unique interactive dog toy. We have reviewed dozens of toys and handpicked our top 10 best luxury toys for dogs; check them out below and be sure to only pick toys suited to your dog’s attributes. 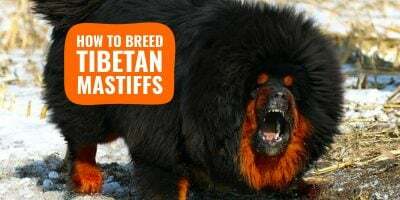 The emphasis put on a dog’s size, aggressiveness, and weight. 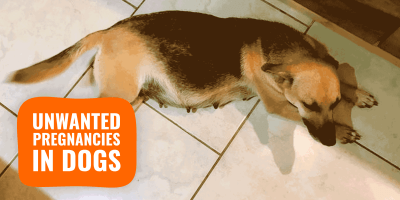 Some dogs will appeal more to very large dogs (such as GoughNuts) while others can only be used by small to medium breeds (e.g. Trixie toys). The marketplace does not really have many (if any) overpriced dog toys and it is a good thing; let’s hope it stays that way. We do not want an invasion of luxury golden dog toys sold at a high amount just for the sake of splurging. This snuggle puppy is specially designed for the purpose of soothing anxiety and frustrations in the dog. In stress, dogs tend to exhibit behaviors associated with angst such as whining or persistent barking. 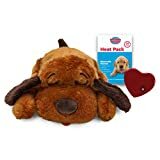 This toy works to alleviate your dogs by providing the comfort of a companion dog with its built-in, pulsating heartbeat and heat source. Dogs thrive in packs, so when this behavioral aid sits next to your dog at night, he will think he’s next to one of his own kind. This toy is ideal for puppies who have been separated from their mum, or for singletons. The smart pet behavioral aid toy is operated by two AAA batteries that can last up to two weeks if kept on continuously. At night, just turn on the heartbeat mechanism and insert it into the snuggle puppy. After warming the heat pad, you will insert it as well. This snuggle puppy aid toy comes in a variety of colors from pink, brown, black, golden, and biscuit. The only downside to this product is that you will have to reorder the warming packs after it runs its course as they are not reusable. For some users, it may prove to be rather pricey if used for long-term. Give your dog the exercise it needs with this flirt pole designed for ultimate durability and size adjustability. This interactive tug toy keeps your dog in chasing mode and provides sufficient mental stimulation to keep his mind highly alert. This product is ideal to keep your dog in top shape when distance walking is not always feasible. 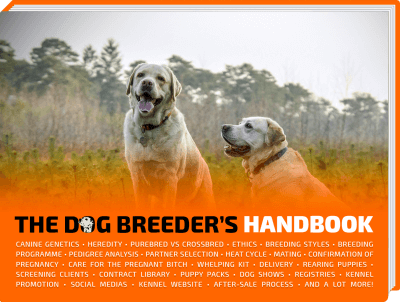 Additionally, this is your ideal companion guide for training on various levels as it aims to keep your dog’s attention and guides him through the training steps. The 36-inch V2 pole comes equipped with the non-slip teaser rod and provides two different fleece lures as well as a fleece tug toy that measures approximately 14 inches long. Manufactured in the USA, it has been tested for strength, durability, and safety. The lures are easily detachable to allow quick replacement from one to another. The wrist strap provides comfort for easier handling the rod and gives you more control of the action. This may not be suitable for small dogs as the rods and fleeces may be to heavy for smaller breeds to grab on to. They don’t call this chew toy the indestructible for nothing. This is hands-down the toughest chew toy made in the market. Manufactured in the USA, the Goughnuts was definitely created for the serious, extreme chewer. This product’s aim is to provide ultimate safety to your dog’s chewing practice without taking away the fun aspect. Priding itself on secure safety standards, the Goughnuts MAXX comes readily equipped with an indicator color coding that communicates with the handler when the toy is ready to chew. A black or green light will let the dog know it’s time to literally “goughnuts” on the device, whereas a red light will indicate it should stop. In succession of the original stick, the Goughnuts Maxx 50 is rightfully dubbed according to its number of hardness; 50 being the highest now. This means there is a 10-point hardness difference between the original Goughnuts and the MAXX 50. Due to its large size, this chew toy should only be used with big dogs, or unless your dog has already experienced the original Goughnuts without issues. Another bonus includes its floating capability in water. 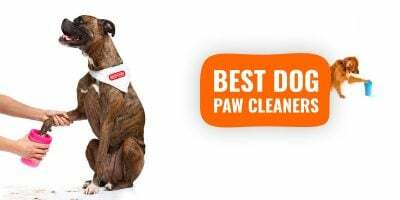 Some users have complained that the rubber smell of the chew toy interferes with their dog’s liking and because of this, have never gotten around to using it after the purchase. It’s a fact, dogs love balls. They love destroying them too, so when the Boomer Ball was made available on the market dog owners were in luck. It’s great for outdoor use and is one of the toughest balls on the toy market today; it’s considered by some to be the Rolls Royce of dog balls! Tough, yet extremely easy to handle and very bouncy, this ball is made from polyethylene which will make ripping through it a very difficult task. This is ideal for those ball-loving dogs who enjoy tearing most things to shreds. 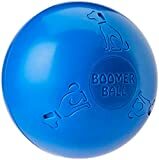 This indestructible Boomer Ball is specially designed to resist the toughest play feats and it’s meant for ground play and not for picking up. 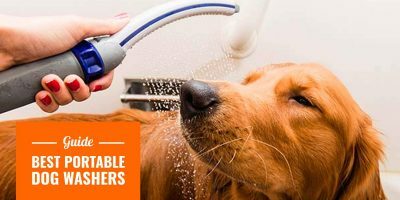 It brings a level of excitement to your dog’s life as well as provide a therapeutic touch for enhancing physical and cognitive faculties. These balls come in varying sizes ranging from 4, 6, 8, 10, and even 20 inches. The right size for your dog is just slightly bigger than a ball he can usually carry on his own. On the downside, several consumers have complained of its material with claims that it’s made of a “hard plastic” and, thus, did not enjoy it. Having your own set of FitPAWS Paw Pods is akin to having an entire gym facility for your dog. These pods are designed to enhance flexibility, increase superb agility, and strengthen your dog’s core balance. Dog owners who showcase their dogs in regular shows can appreciate the discipline these pods provide for stack training. These work great for establishing consistent weight bearing improvement. FitPAWS is uniquely formulated for dogs to stand on with one paw on each pod to accommodate easier limb strengthening as well as enhancing his awareness of each individual limb. Because of this, rehab practitioners have also benefited from utilizing these paw pods in their rehabilitation practices. FitPAWS paw pods come in an assorted of colors and are always available with four in each pack. Measuring 5 inches each in diameter and made from flexible PVC material, each pod is ingeniously designed with sensory bumps that assist in your dog’s neural networking stimulation. It comes with two textures with the flat side at the bottom while the dog sets his paw on the bump side. For an extra challenging boost, just simply allow your dog to stand on the flat surface instead. The balance for each pod is easily adjustable by applying more or less air pressure, however, pumps are sold separately. Keep in mind, some dogs may not be comfortable with the texture and spikes. Disc lovers are in luck. The K-10 Jaws Dog Disc is the toughest canine competition disc not only in the toy market but also in the world. These discs were created by world champions. Its high durability is resistant to punctures or bites; it’s no wonder these discs are chosen by the most avid dog athletes. The patented dual grip surface along with its high-tech aerodynamics feature promises smoother and faster sailing. Ultra-flexible and ultra-tough, this hyperflex dog disc is capable of breaking any disc throwing records. 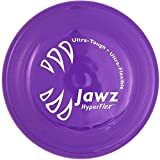 The Jawz dog disc weight in at 145 grams and has a diameter of 8.75 inches. They can be rolled across the yard instead of thrown in the air, however, they do not float in water. More importantly, don’t run the risk of letting your dog turning this tough disc into a chew toy. A number of consumers have complained that these discs ruin from normal play in a relatively short time frame, while others have complained the edges are too sharp for a non-trained dog’s mouth. Meal times have never been more fun now with an interactive bobbing dog toy that allows your dog to entertain his appetite as well as get some much-needed exercise. This dog toy is suited for all dogs of any size and any age. The Bob-A-Lot administers your dog’s kibbles and treats, up to three cups, in a steady fashion that allows you to control the amount of food dispensed whilst keep your dog in top shape and nurturing his cognitive abilities. Both physically and mentally stimulating, while your dog is busy chasing his treats, this interactive dog toy wobbles around supported by a weighted anti-slip bottom that allows smoother floor friction. This device works great to avoid separation anxiety in dogs. The Bob-A-Lot comes equipped with two separate chambers that allow most foods in and lets you select the difficulty level with the adjustable openings, one on the inside and another on the outside where the dog will eat from. For beginner level dogs, you can place one treat at the outer opening so that he knows where to look for his food. The wobble toy measures 8.9 inches in height. The only downfall? It can get really noisy! Trixie’s interactive dog toys are customized to provide mental stimulation and exercise for your dog. These toys, such as the Trixie Strategy Flip Box, challenge your dog to a mental challenge by exercising his strategic faculties and enhances the dog’s cause-and-effect comprehension. The Flip Board treat dispenser uses a pop-up feature using various methods by either pressing down or moving from side to side. Some cones need to be manually lifted up by your dog’s mouth, therefore not allowing them to fall over easily during eating. Although perfect for the intermediate dog player, these designs work best for small dogs. For a more adventurous challenge, vary the amount of the treats in the dispenser and where they are placed to keep your dog guessing each time. The rim is protected by a non-slip rubber that keeps the toy in place and keeps it from dragging. Trixie also provides various other mind stimulation methods for your dog’s mealtime including a chess game treat dispenser, the Trixie game bone, and even an activity poker box dispenser. Other noteworthy items on their list include a pet ramp, dog house plastic doors or two-way locking dog door, a windmill, and other custom-built houses and sleep beds. The options available are endless when it comes to Trixie products. Outward Hound brings a unique concept to the canine dog toy market with interactive, hidden squirrels. 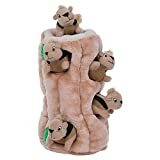 Your dog can enjoy the game of Hide-N-Seek all while being enamored by the plush texture of the squirrels as they “squeak” their way out of their hiding spots. This toy not only acts to provoke your dog to chase, but it works as a puzzle as well. You no longer have to worry about your dog being bored while you’re away. Your dog will be too busy sniffing for these sneaky squirrels and catching them in their mouths. They are even great for fetching. The Hide-A-Squirrel comes in four different sizes to adapt to your dog’s play level from junior all the way to ginormous size. The ginormous size features five different hiding spots that are sure to keep your dog fairly busy. Just do not let these squirrels become chewing toys for your dog as they have been known to rip easily and some dogs have ingested the stuffing inside. This Paradise knotted chewing toy is one of the most original, ingeniously crafted chewing blocks on the toy market. Although made for birds, this chew block works great for your dog as it provides the right amount of textured material and dazzling colors. It’s great fun for the dog! Made from 100% cotton rope and sisal rope knots, the knots are designed to give your dog quite a chewing challenge as he is enticed to unravel them and get to the colored blocks. The block is designed with numerous layers to encourage fervent exploring and the vibrant colors act as visual markers. This gives your dog quite a physical adventure as well as sharpening his mental and visual aptitudes. Your dog won’t know when to stop as each knot gets untied one by one. The Paradise Knots Toy is designed for being suspended as it is originally made for birds, but your dog can use it however he wants, either by jumping up on it or simply by letting him have a go at it on the floor. Hope you liked our selection of fancy dog toys and remember that even the most amazing toy will not replace exercise, daily walks, and a good diet.